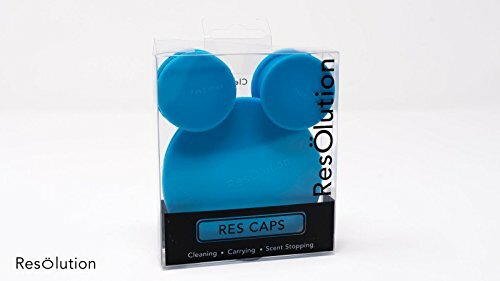 ResOlution Caps create a seal around the openings of glass water pipes or similar glass smoking accessories. Because of this it makes cleaning a breeze. Fill your glass with your favorite cleaner and you can shake as vigorously as you wish. Because these create such a tight seal they are ideal for when you need to travel with your most apprised glass pieces for a leak-free transport. They also work as an odor stop for standard storage and adds some extra bumper protection around the delicate edges of your piece. No glass piece should be without a set. If you have any questions about this product by ResOlution, contact us by completing and submitting the form below. If you are looking for a specif part number, please include it with your message.